of bugs, beetles and mice. 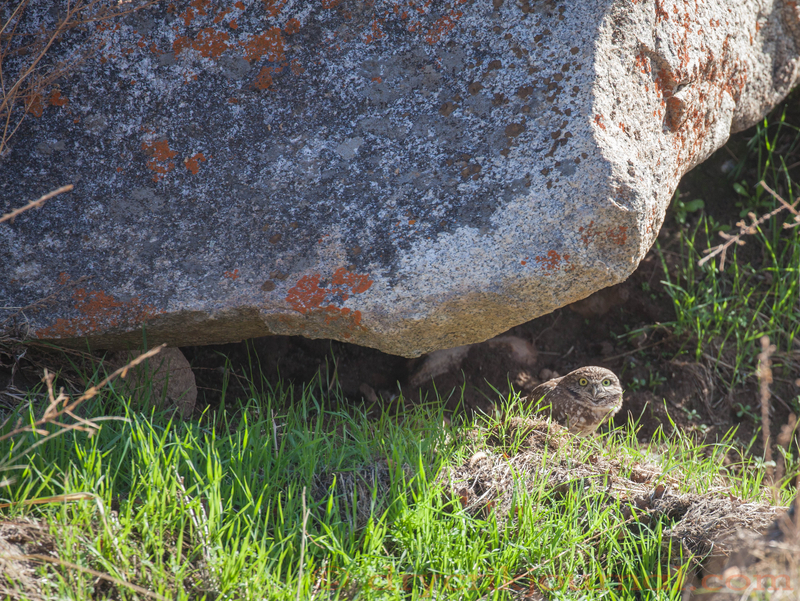 This entry was posted in Photographs, Poems 2015, Ranch Journal and tagged Burrowing Owl. Bookmark the permalink. Very nice discovery and the poem that goes with the image. Thanks, Tim. Sunday, Robbin and I were tickled to see him back in his old digs. Great, to see animals you like return. Our more rural environment it mostly includes birds returning to nest. Yours is far more interesting. Cute little guy and lovely poem, John. I suspect we’ll be friends for awhile, but I wonder where the rest of his/her crew is? I hate to think he/she’s all alone. According to Wiki the males are apt to be alone when not courting a couple of wives. It’s the alone time of year. LOVE IT!!!! I see them here along the bay…. They’re pretty adaptable according to Wiki. I enlarged it ’til I only had the head in the screen and it was still as sharp as could be. Those eyes had you pegged.